Hereby we would like to invite you for the exhibition “Schatzoeken in vuilnisbakken” (treasure hunt in bins) by ARE guest Christop Mugge. For this exhibition Christoph presents a new installation which he developed during his stay in the residency of ARE. Concordia’s new exhibition space on the first floor is filled with an installation that seems to have grown organically; everyday materials and waste are woven into a new visual meaning. 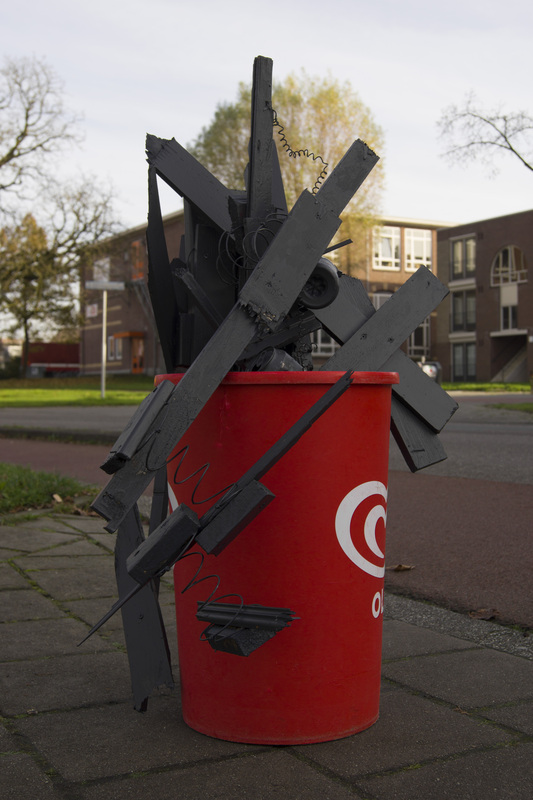 The bins, says Christoph, are objects with an opening which can give and take, in this installation they show what secrets they hide. The opening will take place on 12 December from 16:30 to 18:00. Posted on December 7th, by Marlies in 2014, Events. Comments Off on Exhibition Christoph Mügge.